The false bird of paradise is not native to southwestern Ontario, but it is native to where I photographed it; it is native to Central and South America, extending from northern Argentina up to the southern tip of Mexico. It is still quite common in some areas, but since it prefers moist, temperate forests in which to grow since intense heat can damage the flowers and the leaves. These forests, the same ones in which coffee thrives (which you can read all about HERE), are at serious risk of deforestation due to their rich soil that is ideal for use in agriculture, and also due to climate change. As the earth warms, these forests are turning into dry temperate forests since rainfall in these areas is decreasing. 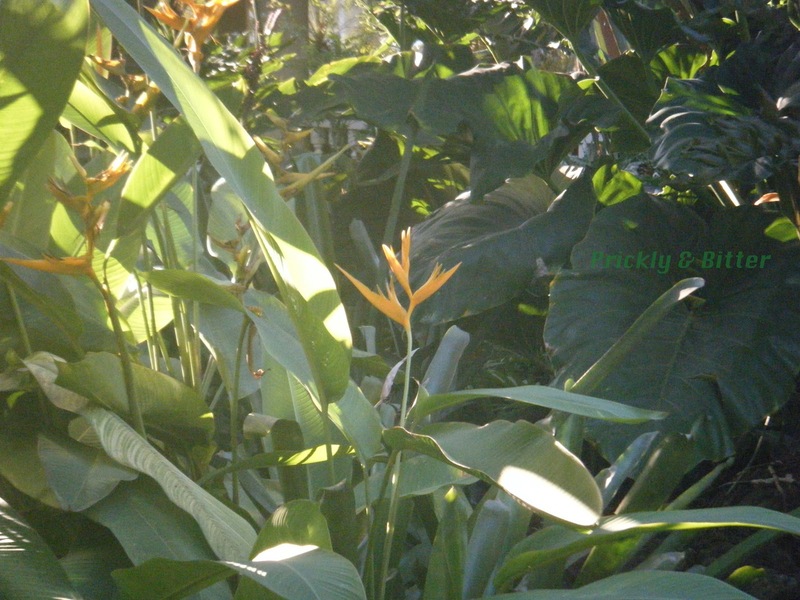 The false bird of paradise has been transported to many other areas of the world where it thrives in the wild and in cultivation, the most popular of the two being the South Pacific islands (Fiji, Cook Islands, Vanuatu, etc.) and Hawaii. There is actually no above-ground stem that exists in this plant. What looks like a stem is called a pseudostem; it is merely a bundle of petioles all packed in together. 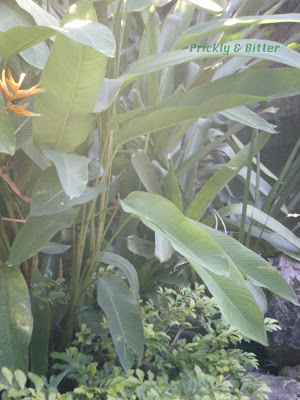 The true stem of the plant is a rhizome which can be found underground. These plants are actually quite closely related to the traveller's palm (which you can read all about HERE), and there's one way that you can tell: the colour of the seeds. If these flowers were producing fruit and seeds, you would see that the seeds were bright blue (but don't have the same surface hairs like the traveller's palm seeds do). These seeds were sometimes used to create a type of "war face paint" when crushed. The colour doesn't last long, so it has limited use as a natural plant dye. It could just be that it requires a very specific type of mordant (a substance that adheres a dye to a fabric) that hasn't been tried yet. 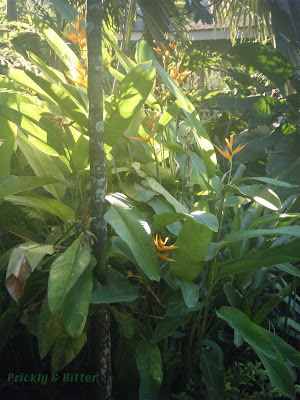 I read on a website about the plants of Hawaii that this plant is similar to day lilies in North America; the variation in flower colour due to hybridization and selective breeding is enormous (within the species, let alone in the entire genus of Heliconia; there are about 60 species in the genus and all of their flowers are wildly different). There are some gardens in Central and South America and in Hawaii that only have Heliconia flowers planted; you would never guess that they were all closely related unless someone told you! These flowers aren't just grown ornamentally outdoors; there is also a huge market for greenhouse-grown disease-free flowers since they are so remarkable looking and are popular in flower arrangements. The flowers themselves are extremely long-lived, and can last up to a month in a flower bouquet!